Placed the order for the SS premium 13.5" this morning. Hopefully will have them in for my next trip. They look real purdy, don't they. I'm 700 miles into mine. Had them fitted at the dealership before delivery. I weigh 195lb which is at the lowest limit of the settings (''0'') but all seems comfortable so far. Got Patriot front springs also. I cannot compare to stock cos I never rode with stock. Do shocks ''bed in'' like seats? These are on my bucket list eventually! 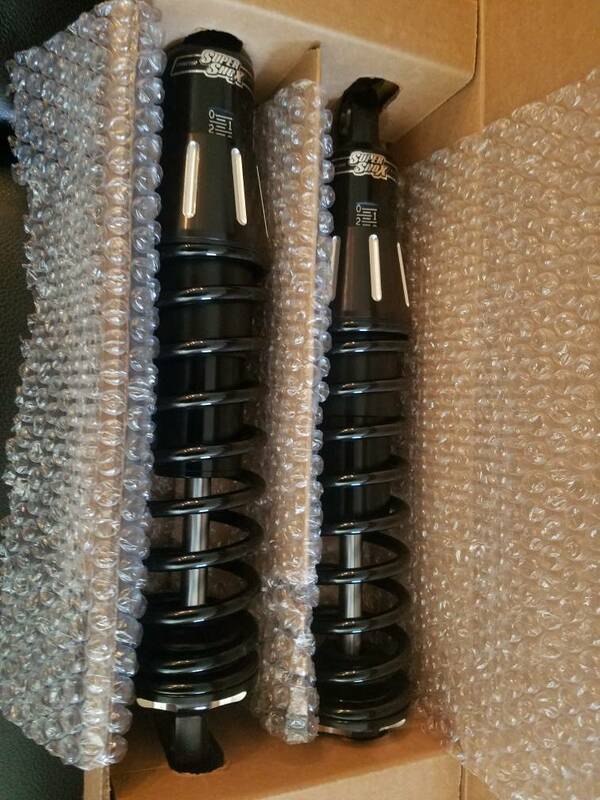 that new shock smell!!! flashbacks to when my package arrived, best day ever and best rides ever after that! Hope so will be installing tomorrow when my jack gets delivered. Then going to ride most of the remainder of the day before deciding if i want to make any adjustments. Their set of 2.5 atm with me being 240ish.